Are you baffled by countless aisles of manga, but don't know where to start? We know the feeling. Have you ever wanted to start a manga series, but can't find those elusive first volumes? We know the feeling. Love a deal when you see one? We do too! This summer's new 3-in-1 editions are here to knockout 3 birds with one stone. Or should we say a hefty +500 page manga*? We picked the most popular manga, compiled the first (and often the most hard to find) volumes into a value-packed little package just for you. For less than $15 and much less heartache you can get a taste for the manga that you've heard so much about. Or maybe you've caught Fullmetal Alchemist: Brotherhood on Adult Swim? The harrowing tale of two brothers in the quest to regain their humanity from Hiromu Arakawa will be available starting this month. The law of equivalent exchange: in order to receive something, something of equal value must be given in return. This is the cardinal law of alchemy, the science of changing the material world and its minerals. The Elric Brothers are on a quest after trying to break this fundamental rule. After an alchemic experiment gone horribly wrong, Edward is left without an arm and leg and Alphonese without a body at all. In the mood for some demon-hunting or maybe you've seen the anime also on Adult Swim? Try Kekkaishi by Yellow Tanabe. By day, Yoshimori Sumimura is your typical middle-school student dealing with typical problems: an obsession with sweets, getting too little sleep, and a crotchety grandpa. By night, Yoshimori works as a "kekkaishi" a demon-hunter who's charged with protecting the Karasumori site from ayakashi. No one takes Naruto seriously at Ninja Academy. Especially not the other students, who all are competing to be the best ninja ever and someday lead Konoha, the Village Hidden in the Leaves. Naruto and his classmates are about to embark on an adventure that takes them far beyond Ninja Academy, beyond Konoha, beyond anything they ever imagined. 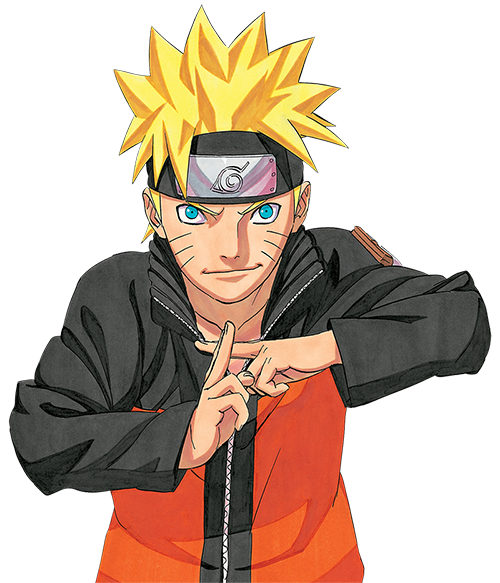 What is Naruto's true destiny? The epic story that has sold millions worldwide begins now! Want more 3-in-1 goodness? Check out our omnibus editions of One Piece! *VIZ Media does not condone throwing manga, graphic novels or other objects at wildlife, flying in threes or not.